Over the years I’ve collected many, many dog books, covering subjects such as dog psychology, house training, tracking, agility and obedience training, as well as humorous cartoons and stories. 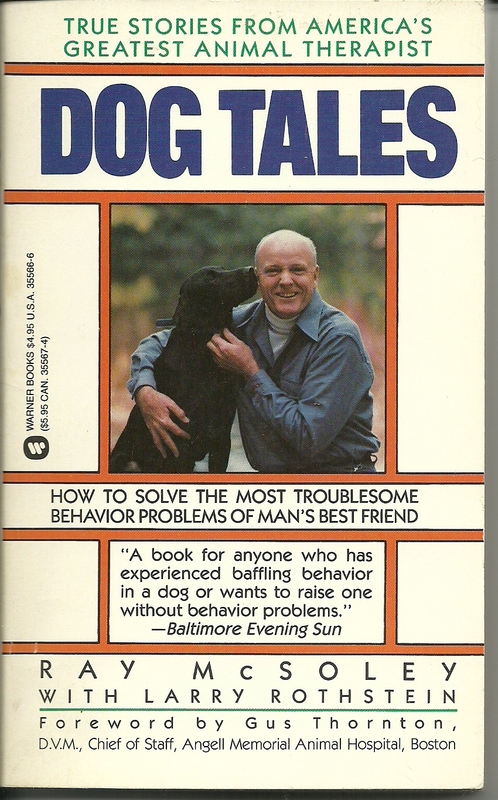 Over the years I’ve collected many, many dog books, covering subjects such as dog psychology, house training, tracking, agility and obedience training, as well as humorous cartoons and stories. Eventually I had to come to grips with my overburdened bookcase. How many of these have I “collected” versus how many have I read? The answer is that I have more dog books than I can ever hope to read in this lifetime. Some I successfully sold on Amazon, such as the first editions of Terri Arnold’s three books, Steppin’ Up To Success: Theory, Footwork, Handling and Attention, Novice, and Open and Utility. I purchased the second edition books years ago. Why did I need both? They sold quickly and have maintained their value. Some fiction books I gave away to Five Flags Dog Training Club members. Others I’ve given to people I know will cherish the information. 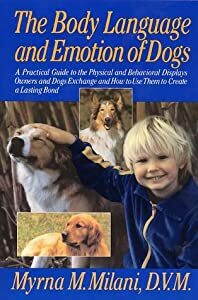 Two gems I found in my bookcase are The Body Language and Emotion of Dogs by Myrna Milani, DVM and Dog Tales (True Stories from America’s Greatest Animal Therapist) by Ray McSoley. Along with How to Housetrain Your Dog in 7 Days, the books should be required reading by every new pet or performance dog owner. I’m an assistant pet dog trainer at a local obedience school. The problems people have with their dogs are generally the same session after session. The owners discuss their dogs human emotions, for example, guilt or remorse, when usually the dog is reacting to their role in the family pack. Is your dog the leader of your house or are you? Are you a submissive person with an aggressive dog? Or are you a dominant person with a dominant dog? Reading these books will teach you to understand why your dog’s “guilty” look is really in response to your posture, face and voice as the leader of the pack. McSoley’s book teaches you how to keep your dog from jumping on you. Milani’s book explains why your dog jumps on you and why you should have stopped that behavior when the dog was a puppy, or at least the first day it came into your household. Dogs thrive on a “bonded” owner, someone who provides a dog with not only food, water, bedding and exercise but someone who seeks to understand their dog. We like to joke about dogs being little people in fur coats but in reality, truly believing an animal is a “person”, may cause some relationship problems down the road. All three books ensure that you will have a loving, responsible relationship with your dog, allowing you to live in harmony with an animal that is capable of communicating with you in the dog’s own unique way. Dogs are so amazing. How can you not want to learn everything about them? And who knows what else I’ll find in my dog library? This entry was posted in Dog training and tagged Dog, Housebreaking, Pets, terri arnold. Bookmark the permalink. Thanks so much for your kind words regarding my book, Dog Tales.